A solid 16.3 hands and as gentle as a kitten. 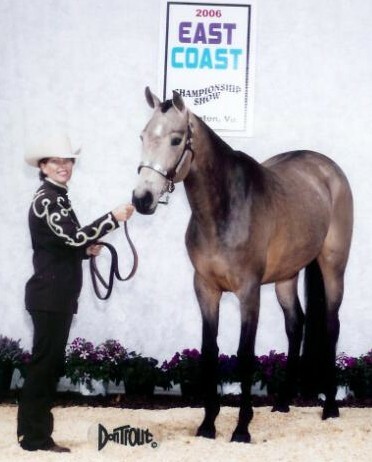 Alley is by Cresta Rider and out of Cougarina by the legendary Cougar II. Her pedigree boosts such greats as 3X Hyperion, 3X Nearco, Princequillo, Man O'War, Northern Dancer, Mahmoud and the great broodmare sire Forli! 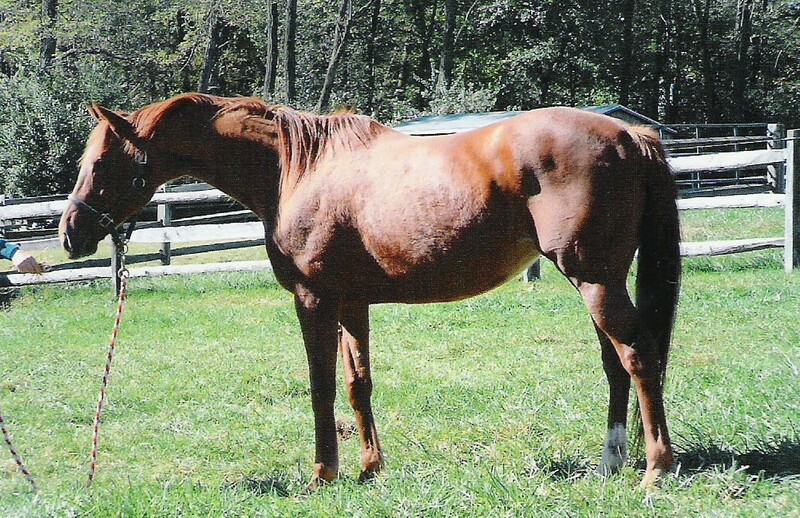 She has produced both runners and HUS. A solid 16.3 hands. 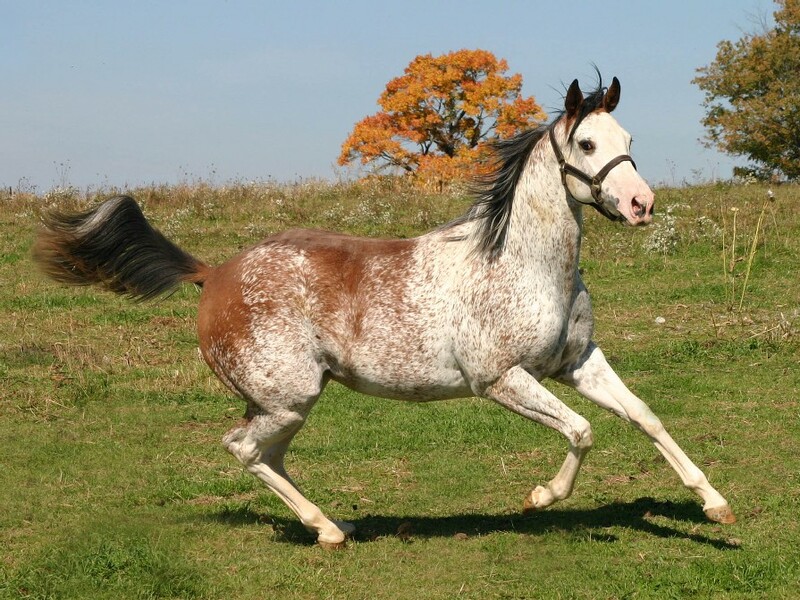 Spotty is a sweet loving mare. She retired sound from racing with earnings in excess of $100,000. 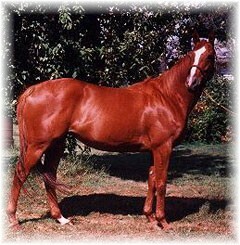 Her sire is the GSW Parfaitment. She is a classic hunter mover. Her pedigree includes the great Halo, Mahmoud, The Axe and Princequilo. Her first foal is at the track now and we wish his owner the very "best"! A solid 16 hands. Cerene is loving and kind. 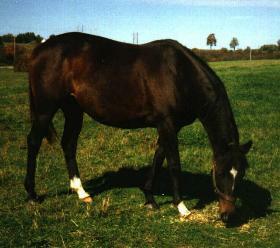 She retired sound from racing. She is the dam of Iroquois Priestess. Her pedigree is chock full of greats like The Axe, Grey Dawn & Graustark. The Scarlett Witch, who was very fondly referred to as Millie, crossed over the rainbow bridge January 2009. She has left a huge void in our hearts. She truly was an absolute pleasure to own and be owned by. We find peace in knowing she is running through fields of green grass with Keep The Magic aka Merlin and Lil Miss Doolin aka Doolin. Copyright© 2002 - 2008 Wind Spirits Farm. All rights reserved.